The Central Asian country has learned to use its strategic location as leverage and to play both ends against the middle in order to make a profit. The Kazakhstan National Security Commission’s chairman stressed that the young people got to the militant camps under different reasons. “We know them by names thanks to the joint work primarily with our Russian colleagues,” Abykayev said. The young people from Kazakhstan who are now in Waziristan were recruited by Caucasian militants who came to Kazakhstan, he said. 4 of the Kazakhstan citizens has recently returned from Afghan-Pakistan zone, Abykayev said. According to Abykayev there are several militants from Kazakhstan in Syria. He believes that international cooperation of the law-enforcement authorities and special forces is important for tracking the militants’ crossing of the borders. According to him, a system of information exchange of the related mattes has been established, namely with Russia. Southern Gas Corridor: Russian nightmare? Turkmenistan is buying eight new well armed naval vessels from Turkey, marking a substantial increase in capability for the country's nascent navy. Turkey is ready to deliver Turkmenistan's natural gas to consumers in Europe, Turkish President Abdullah Gul said on Thursday, supporting the Central Asian nation's plans to build alternative pipelines and ease dependence on exports to Russia. Senior Turkish officials had said earlier Turkmenistan would be welcome to link to the $8-billion Trans-Anatolian natural gas pipeline (TANAP). This attitude could be a boost for projects like White Stream, the long-running attempt to build a subsea pipeline across the Black Sea from Georgia to Romania. Giorgi Vashakmadze, Director of Corporate Strategy, put forward a slightly different vision of the project than heard before (with a new website to boot), which appeared to link it directly with a Trans-Caspian Pipeline. Conceivably this could create two branches of the Southern Corridor; one from Azerbaijan across Turkey and into central or southern Europe, one from Turkmenistan across the Caspian, into Georgia and across the Black Sea into eastern Europe. This would make commercial sense, in the long term. On a Trans-Caspian Pipeline to Azerbaijan, he dodged the question of Russian opposition and said simply that Turkmenistan regularly negotiates with their Azerbaijan counterparts on the issue. From his speech it seems that things will become clearer once the East-West pipeline, taking gas from the giant Galkynysh field to the Caspian coast, is operational by 2015. And according to European Commission policy adviser Brendan Devlin, the EU is planning to present a full development concept on the pipeline to Ashgabat by the end of the year. Russian warships of the Caspian Flotilla have been training defense maneuvers and deployment of artillery at the coast of Dagestan, Interfax reports. Russia has deployed an advanced new missile system to its base in Armenia,amid deteriorating relations with Armenia's rival, Azerbaijan. A source in Armenia's Defense Ministry confirmed to RFE/RL's Armenian service the deployment of "several" Iskander-M systems. Illicit drugs have become a top security threat to Russia and a negative influence on the already dire demographic situation. Russia's Security Council lists illegal drugs as one of the three main security challenges facing the nation, alongside terrorism and illegal immigration. In one recent international effort, a senior Tajik drug dealer who controlled a heroin-smuggling route to Russia was detained in Dubai in December 2012 by a coalition consisting of Russia's Federal Drug Control Service, Interpol, the U.S. DEA, and law enforcement agencies from Kazakhstan, Belarus and the United Arab Emirates. Izvestia cited sources in the presidential administration as saying the arrest was sanctioned from the very top due to almost daily deadly explosions in the republic. In another sign of tightening security in the region, President Vladimir Putin fired Zhaudat Akhmetkhanov from the post of interior minister of the republic of Karachayevo-Cherkessia, the Kremlin's official website said Monday. Analysts have noted that Amirov's detention fits into the ongoing transformation of the Kremlin's internal policy. "In my view, this is another sign that the Kremlin is tightening the screws across all of Russia. Physical force instead of 'soft power' is being used against the insurgents in the North Caucasus, or anybody connected with them. This is the so-called scorched earth policy, which does not need people who can build bridges between the warring sides," Shvedov said. In other words, Amirov's arrest marks a radical shift in the model of governance for Dagestan. Moscow concluded that the lawlessness of local Dagestani elites was the main cause of instability and the growing support for the Salafi, and that the only solution would be to put the local elites under direct control not even of the Kremlin, but of Lubyanka. If the siloviki are calling the shots in Dagestan directly from the Lubyanka, it will mark a turning point in Moscow's policy for the North Caucasus and will serve as a serious warning to neighboring Chechnya. But this approach will probably be no more successful than the previous model in which Amirov, who was once honored as Russia's best mayor, lobbied on behalf of United Russia in calling everyone to vote for Putin. In that case, the Salafis will emerge as the biggest beneficiaries of Amirov's arrest. After all, in a republic where everything is decided by money, guns and high-stakes risks, the Salafis are the only force growing stronger every year that Moscow has been unable to control. For more information about the struggle for Xinjiang and East Turkestan I encourage you to read a previous post discussing China's Central Asia Problem. Suleiman Osman Uheida, also known as Abu Khalid, was found guilty on June 2 of organizing an Islamic armed group and of illegal possessing a weapon. 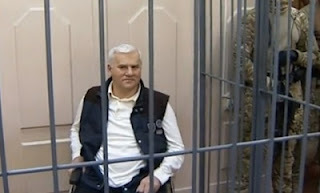 The investigators said that, in 2011, Umarov appointed Uheida the leader (Qadiy) of the Shari'a court of Imarat Kavkaz. 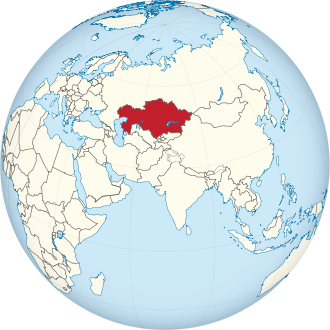 (The Caucasus Emirate). 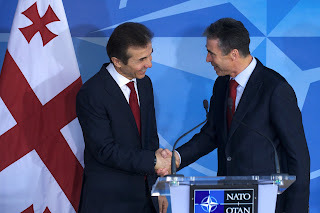 Rasmussen reiterated the alliance’s support for Georgia’s territorial integrity and sovereignty within its internationally recognized borders. He also pledged that Georgia would one day become a NATO member. “This is their own business; they are making decisions in accordance with the national sovereignty doctrine. But we have to consider the fact that for us the NATO bloc is not simply some estranged organisation, but a structure with military potential,” the head of the Russian government said adding that under certain unfavorable scenarios this potential could be used against Russia. “All new members of the North Atlantic alliance that appear in proximity of our state eventually do change the parity of the military force. And we have to react to this,” the top official noted. The June 6 appearance of a questionable YouTube video, in which supposed Taliban fighters declare jihad on Georgia, has added to that debate. A close inspection of the video, which was posted from Georgia, has raised suspicions of a domestic job or even of Russian intelligence, but the video's timing has contributed to the unease. The loss of more Georgian soldiers in the ISAF misson prompted anti-NATO rallies in Batumi. But this will neither affect Georgia's participation in Afghanistan nor change the government's determination to join the North Atlantic Treaty Organization. Georgia And Azerbaijan Strengthening Military Ties? Georgia and Azerbaijan have been publicly cooperating a lot lately, with presidential meetings and news of co-producing military jets and armored personnel carriers. 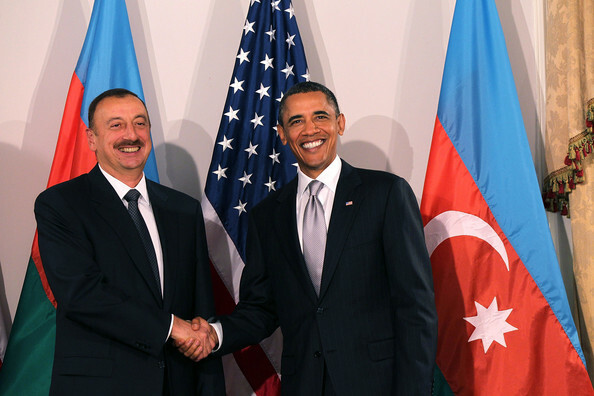 That military cooperation, in particular, is projected to grow, writes Azerbaijani analyst Zaur Shiriyev. "America, Britain and the Zionist regime (Israel) are an axis of evil against the Islamic world and the whole of humanity"
"They number four: a supply corridor for NATO's military campaign in Afghanistan; a foothold for American interests in regional stability (Iran is just next-door) and fighting terrorism; and, finally, oil and gas for Europe." According to the report, most of the killed are Libyan (59 citizens). They are followed by Saudi Arabia (44) and Tunisia (44), Jordan (32), Egypt (27), Lebanon (22) and Russia (17). 5 out of them are from Chechnya, 4 from Dagestan, 1 from Kabardino-Balkaria and 7 from other regions. Rustam Gelayev, the son of Chechen separatist field commander Ruslan Gelayev, is also among them. He was allegedly killed in the fights against the government in the grouping "Chechen Mujahideen in Syria" in August last year. The citizens of Palestine, Kuwait, Iraq, United Arab Emirates, Australia, Bahrain, Morocco, Algeria, Azerbaijan, Bulgaria, Denmark, France, Ireland, Kosovo, Qatar, Turkey, the United Kingdom, Uzbekistan and the United States are also among mercenaries killed in Syria. Predictably, the Chechen freedom fighters aligned their activities with U.S. foreign policy objectives and are fighting against the Syrian government. Besides Turkey, Azerbaijan is the country where most of these active Chechen terrorists can be found. Speaking at the Caspian Oil and Gas 2013 conference on June 6, SOCAR's first vice-president Khoshbakht Yusifzade said that companies such as Exxon Mobil, Chevron, Total and Nobel Oil show interest in the country's shale oil. Azerbaijan and Israel enjoy special relations, Azerbaijan Consul General Nasimi Aghayev said at the presentation dedicated to Azerbaijan organized on June 5 by the Los Angeles representation of the American Jewish Committee (AJC-LA), one of the most influential Jewish advocacy organizations of the world. Speaking at the event, Executive Director of AJC-LA Rabbi Mark Diamond, Chairman of its International Committee Gary Jacobs and AJC-LA liaison for Azerbaijan Ali Ibrahimzade also noted the great importance of Azerbaijan for Israel and U.S. They highlighted the fact that Jews have lived in Azerbaijan peacefully and without any discrimination for many centuries. 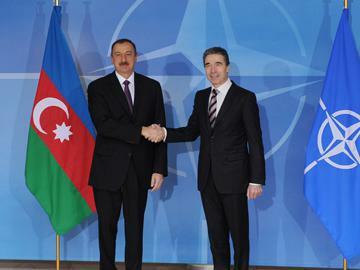 They also noted the strong relationship existing between Azerbaijan and AJC. Azerbaijan’s Foreign Minister Elmar Mammadyarov attended the opening of the AJC Global Forum of the Jewish lobby in Washington, APA reports. Foreign Minister informed the participants about Azerbaijan’s decisive role as the provider of energy resources and the close relations between Azerbaijan and Israel. A constitutional amendment introduced in 2009 removed a two-term limit for holding the presidency. Azerbaijan's opposition and human rights activists have accused Aliyev of nepotism, concentrating the country's wealth and resources in the hands of his family, and systematically abusing of the citizens' rights.